Looks like NZ missed a star stallion!! What level service fee do breeders think he will reach? Well done to Messara to recognize him! Perhaps Peter Jenkins will respond to this thread and give his thoughts on Dundeel's future as a sire - the numbers certainly stack up for him so far. I believe he was behind Dundeel being signed by Arrowfield Stud. Thanks Maria. Yes I actually suggested DD to John Messara after Dundeel won his maiden at Ellerslie. Service fee will be determined by the market. We are fairly conservative with our pricing as we only discount for multiple bookings. Fee will be set at Easter. Plenty of water to flow under the bridge before then. The attachment shows where Dundeel is at now compared to where Snitzel was at the same stage of his career. Well done Peter and John Messara! Will be watching with interest. Also interesting to see that most of Arrowfield's recent recruits are Japanese stallions. Two are by Deep Impact. Deep Impact's statistics around the world are amazing and they have done so well in Australia with the few who have raced there. Peter Jenkins.... what are your comments on the Deep Impact and his sons at stud? Seriously could any NZ stud have afforded him? My understanding is that Dundeel was a similar price to Ocean Park and Sacred Falls. So the answer is yes a NZ stud could of afforded him!!! Oh well still alot of water under the bridge to go for those two stallions especially Sacred Falls!!! I think the purchase price for a stallion and the stud fee are two quite different things. Obviously the purchase price depends on when the investment was made --for Dundeel, I think it was part way through his career but it would have been substantial at the time. Messara purchase Dundeel after 15 starts. 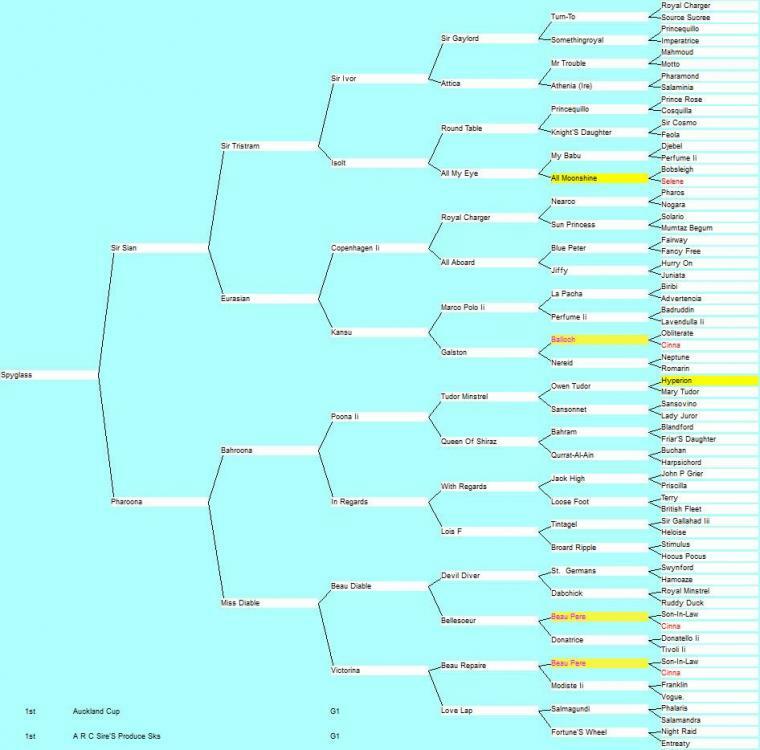 At that stage he had won 5 Group one races. From there he had four more starts for one Group One win, two Group One seconds and one Group One third. Clearly Dundeel is doing extremely well. But buyers do not seem to be falling over each other to get them at the sales , which seems surprising as they will probably get better with age. 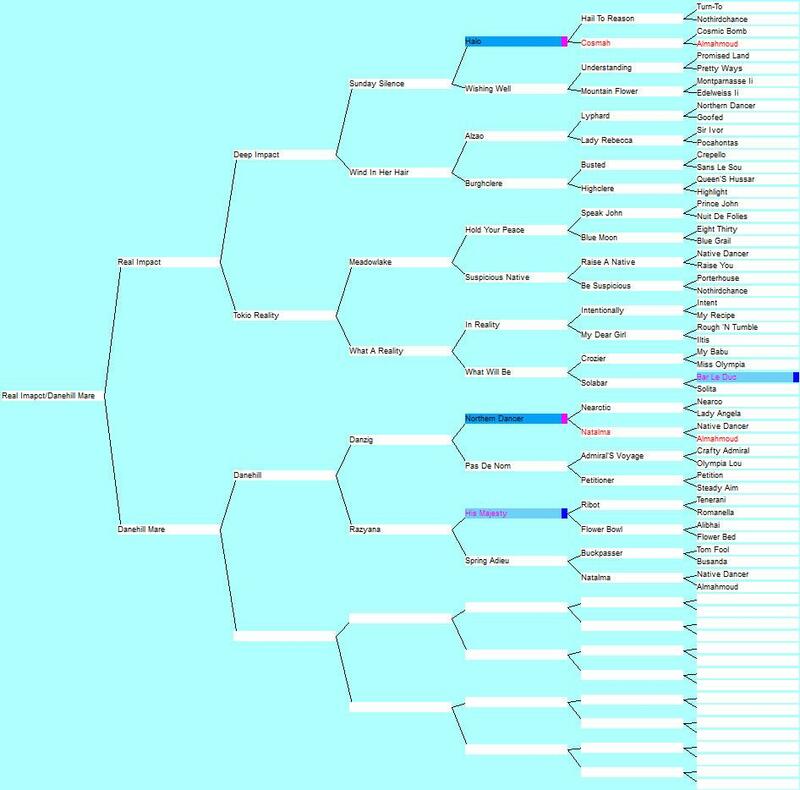 A quick look at the MM, NZB and Classic Inglis (up to lot 800) sales show 29 colts sold at an average of $ 118K and 9 fillies averaging $90K ( I did not bother to account for FX rate differences as most sold in Aussie). The best will be at the Inglis Easter Sale but given his impressive start to his stud career you might have expected higher prices. After I posted the above I looked at the Easter Sale and there only 14 lots for sale --12 fillies and 2 colts. If the trend of the first 3 sales continues the fillies could be "relatively" cheap. A lot more colts in the Melbourne Sale. The Japanese stallions are an exploration of an outcross. Two are sons of Deep Impact who I believed at the time had a theoretical affinity with Danehill blood, of which we are well endowed in our broodmare band. Real Impact would be my pick of the trio. Deep Impact could be considered one of the world's leading stallions right now and would appear likely to outperform his great sire Sunday Silence. Deep Impact is tail-female to the same modern taproot as Round Table and Foxbridge while his elements of Sir Ivor & Pocahomtas (the modern one) stand him in good stead to click well with the Australasian broodmare band. Of course Sunday Silence's Halo is a great foil for Danehill as we know. 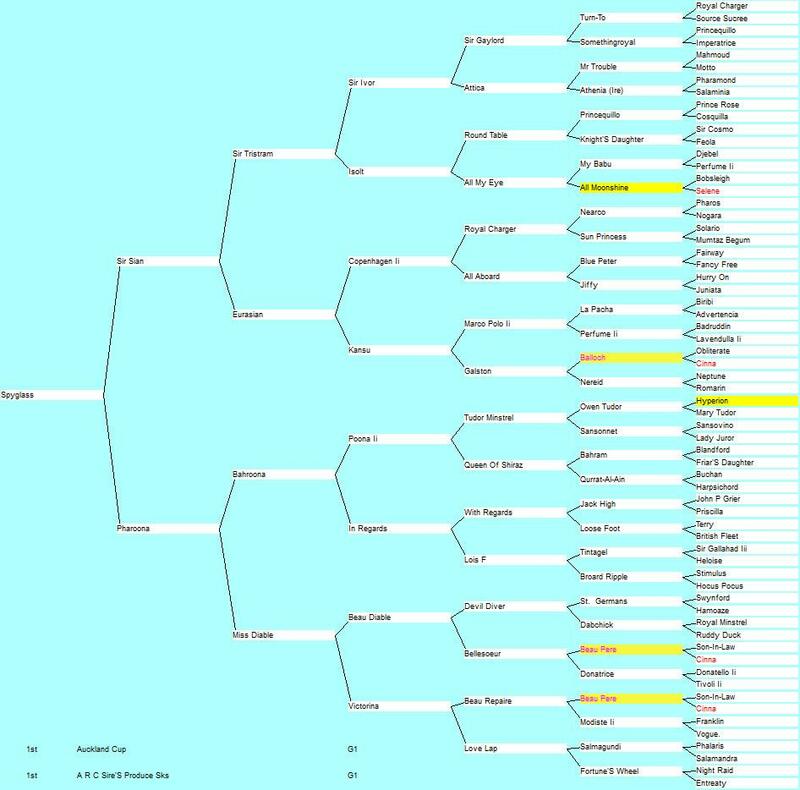 Peter obviously got mixed up with Foxbridge but his point is valid in that DI goes tail female to a number of stallions with the same tap root family (Feola --Friar Marcus x Aloe) found in Australasian broodmares ---Nashwan , Unfuwin, Imperialist, Minardi, Johannesburg, Tale of the Cat plus others such as Pompeii Court while not tail female, it is a prominent part of the pedigree. Agree totally about Deep Impacts female line, if I was to send a mare to Deep Impact, mares from the Round Table male line would be the first I would use. Another would be Aureole. Mares with Foxbridge lower in their pedigree would help. However Real Impact is not Deep Impact so IMO only part of the equation. If I was sending a mare to Real Impact I would be looking deeply at HIS female line and the different bloodlines on his female side and trying to incorporate these into any planned mating . And I applaud any stud that does heaps of research trying to find the right stallion that suits both their own and outside mares. Choosing a stallion is a major decision for all of us. However I don't believe searching for an out cross is the perfect answer. (from memory Animal Kingdom was going to do this. ) 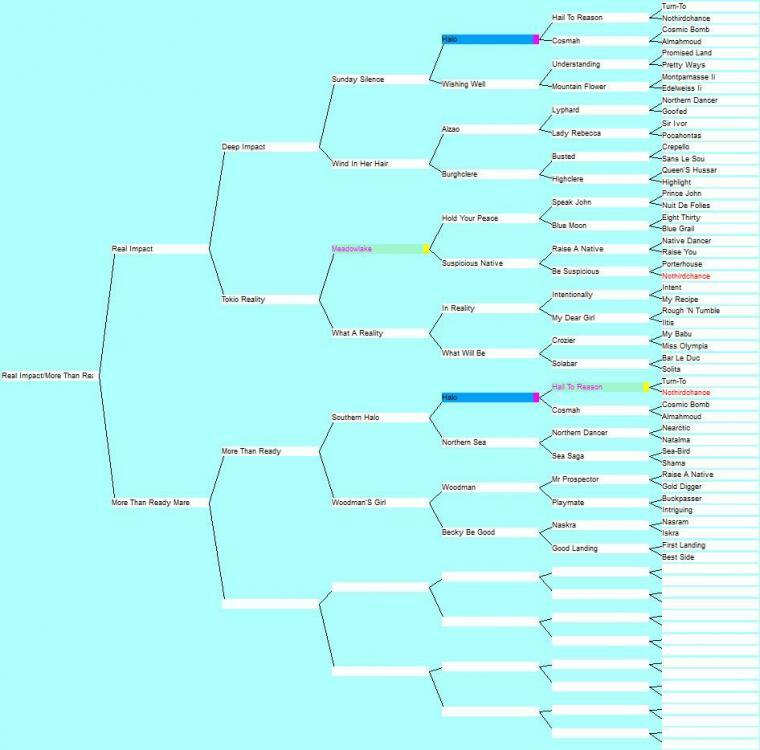 Finding that stallion that "clicks" with Danehill mares would be my ultimate goal. The connection between Real Impact and Danehill mares below. I will predict that somewhere along his career Real Impact will produce a horse the calibre of More Joyous out of a More Than Ready mare.